The Indiana Department of Transportation Tuesday devoted a portion of its website to explain J-turns. 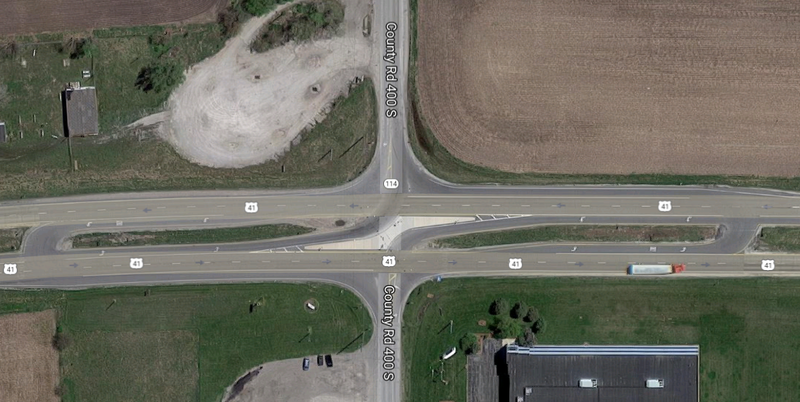 Meanwhile, proposals for the new type of intersection are still raising concerns. The J-turn makes drivers turn right to merge into traffic, then merge left into a J-shaped lane and make a U-turn – instead of proceeding directly across oncoming lanes of traffic. 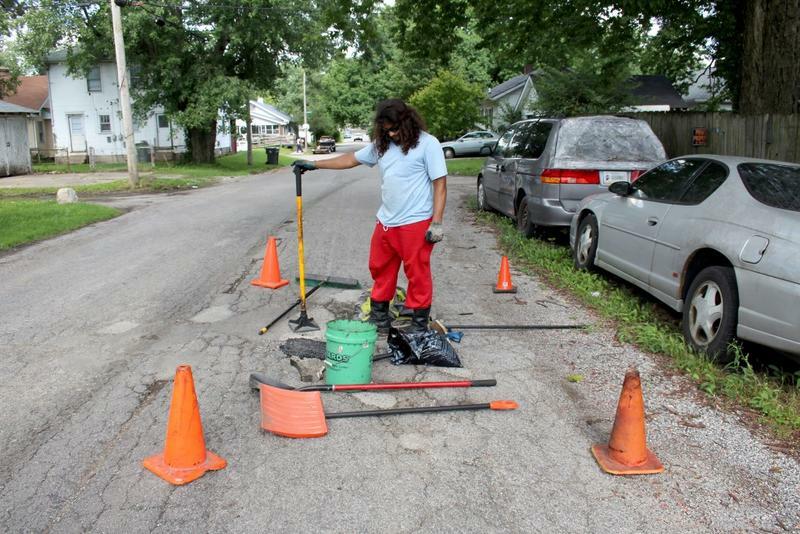 When you drive over a pothole in your neighborhood, you can report it to the city and hope they come fix it soon – or you can fix it yourself. At least, that’s what one Indianapolis man has been doing this year. Michael Warren’s project, which he calls Open Source roads, reveals a lot about the different ways residents and governments try to care for their communities. 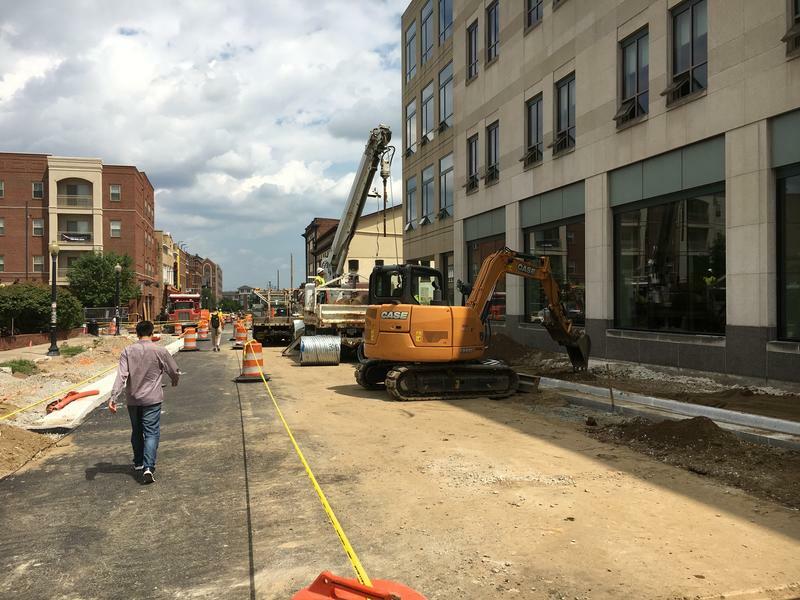 On one side of the corner of Pierce and State Street, construction on West Lafayette’s signature redevelopment project is ongoing. On the other, a crew is working to finalize repairs after an old gas line was broken Wednesday. 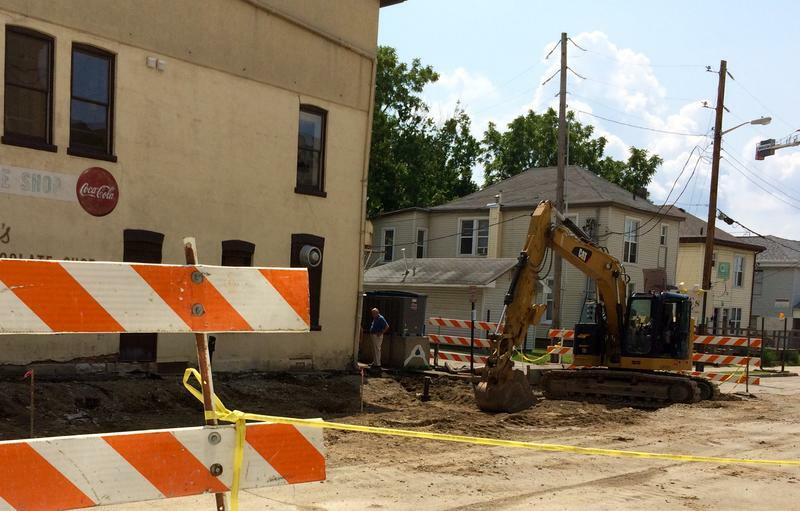 West Lafayette city engineer Ed Garrison says the gas line was disturbed during minor improvements to curbs and sidewalks on Pierce. One big project in the State Street development plan is a city council vote away from being shrunk. The Hub – a mixed residential and commercial building – is being scaled back from 15 to 11 stories. The property developer, Core Spaces, petitioned the Tippecanoe County Area Plan Commission this week for the latter. Core Spaces Chief Development Officer Eric Grimm says the decision came from market research. If construction crews now tearing up sidewalks along West Lafayette’s State Street hope to have the road open on campus within a month, there can’t be many more significant rainstorms. That’s the word from the Joint Board of Purdue and West Lafayette employees overseeing the project. West Lafayette Development Director Erik Carlson sits on the Board and says further severe weather could make it a challenge for the road to reopen in time for Purdue students to return to campus in mid-August. Gov. 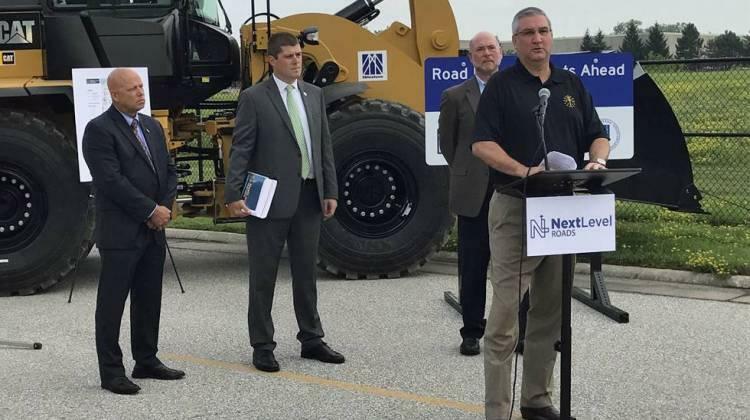 Eric Holcomb rolled out a regionally-specific portion of the state’s five-year infrastructure plan Thursday during a stop in West Lafayette. The governor and INDOT officials say interstates and bridges will be hit hardest with orange barrels. 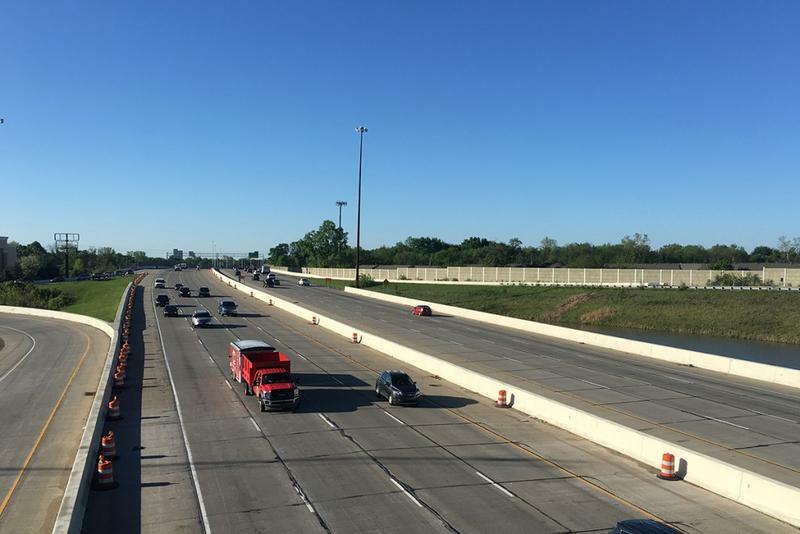 INDOT Commissioner Joe McGuinness says one of the big priorities is adding lanes to I-65 and I-70 – he says he’d like to see a minimum of three lanes run each direction. McGuinness says overpasses are also targeted in the plan. Gov. Eric Holcomb talked Thursday about the first five years of a 20-year initiative to improve the state’s roads and bridges. 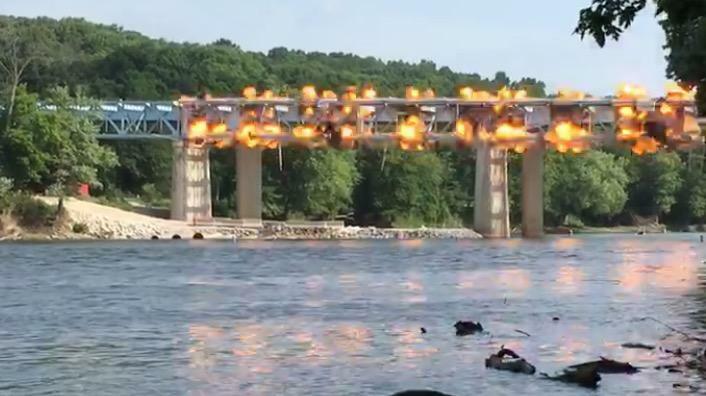 The plan would result in 10,000 miles of existing highways being resurfaced and about 1,300 bridges being repaired or replaced. Holcomb says the initiative, called Next Level Roads, outlines about $4.7 billion in investments over the next five years. Tippecanoe County leaders will get a look Thursday at one of the first data-driven attempts at measuring cycling and walking in the community. 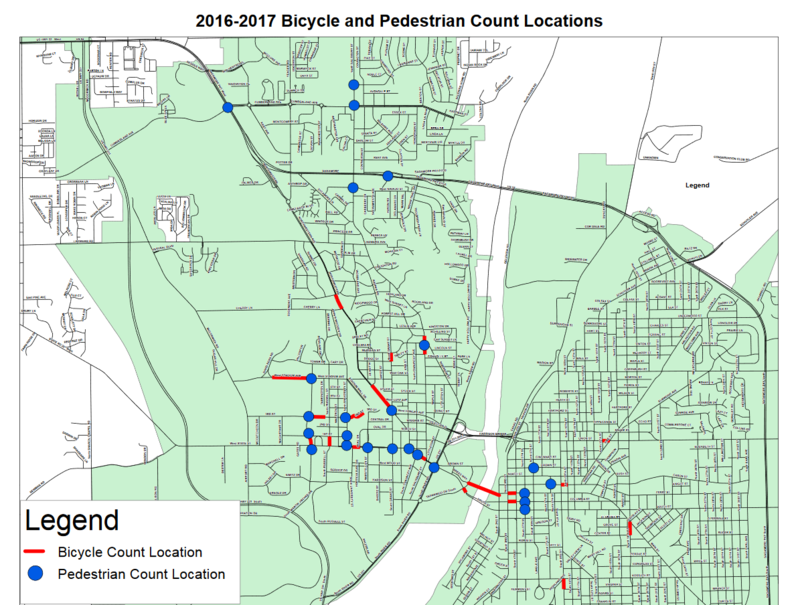 The Area Plan Commission will see a map showing more than 40 sites where volunteers have measured the volume of bikes and pedestrians. APC Assistant Director for Transportation Planning John Thomas says it’s just a first step – more sites will still be surveyed – but it’s a way to keep lawmakers skeptical of building more bike-ped infrastructure engaged in the discussion. 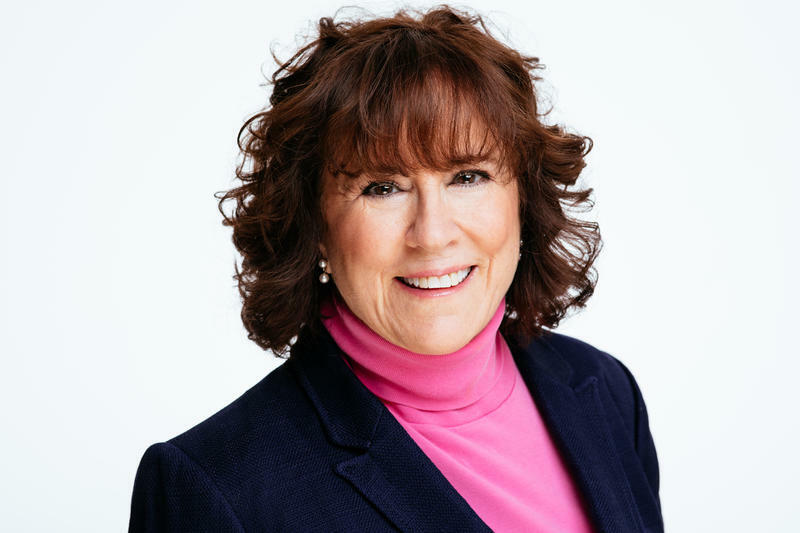 State Representative Sally Siegrist (R-West Lafayette) has been named to the Midwest Interstate Passenger Rail Commission – a group advocating for train travel in the nation’s midsection. It’s a position also held by Siegrist’s legislative predecessor, Rep. Randy Truitt (R-West Lafayette). And, like Truitt, she says she’d like to see more trains between Indianapolis and Chicago on a daily basis – but she admits there are challenges. More than 800 people died on Indiana roadways in 2015 – slightly higher than the last five years. Still, a National Safety Council report ranks Indiana 8th in the nation when it comes to policies that protect people on the roads. Helping that ranking: Indiana laws address distracted driving, teen drivers, seat belt use and alcohol impaired driving. And the Indiana Governor’s Council on Impaired and Dangerous Driving helps fund extra DUI checkpoints.